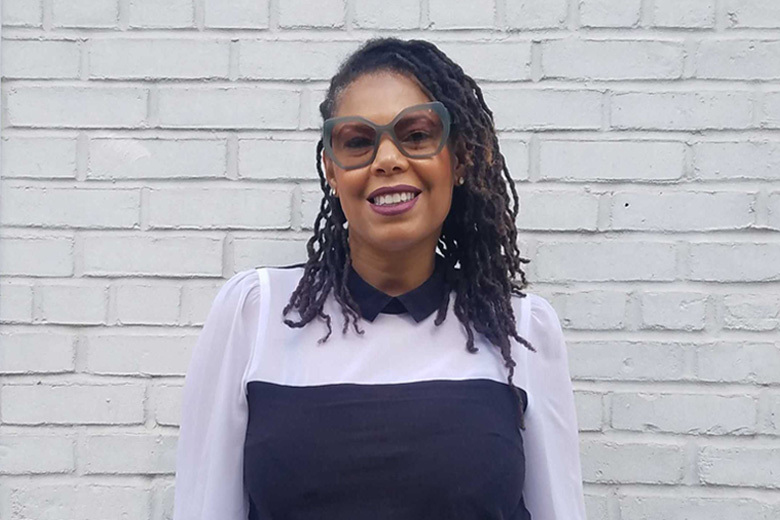 BRIC TV Supervising Producer Kecia Élan Cole has profiled such a wide variety of folks in Brooklyn's art, music, and performance scenes. In celebration of Women's Herstory Month, we asked Kecia to put together some of her favorite Brooklyn Made documentaries featuring women and to tell us more about how she approches documentary filmmaking. How do you approach profiling artists? What sort of questions do you have in mind when you're walking into the room? As the series producer for and creator of BRIC TV’s Brooklyn Made series, I have produced quite a few documentaries featuring dope women. I actually don’t think I approach them any differently than I would men, trans or gender non-conforming people, as it’s really all about the art. Going into production, I don’t want to have any preconceived notions or projections about the subjects based on their genders, or even ask them many questions about gender, unless their gender is somehow quintessential to their artistic practice. That becomes inherently sexist. Do we ask men about being men? Rarely! What does Women's Herstory Month mean to you? Women’s Herstory Month for me is an excuse (as though one were really needed), to celebrate the amazing and astronomical feats of my fellow women! This takes on even more significance these days as we struggle for both equality and humanity under the oppressively sexist, racist, and elitist regime of this current misogynist-in-chief. Due to the trickle effect of prominent and celebrity men who are finally being exposed for their horrendous sexual harassment practices against women, we, now more than ever before, need to celebrate and applaud the achievements of women. Until the world is equalized and normalized when it comes to gender, we need to continue to fight for our collective rights. I love advocacy journalism because of this. For me, that fight includes raising awareness around issues such as gender-based violence and harassment, as well as continuing to tell women’s awesome and compelling stories! Times up! It’s our time! Tell us about a recent experience filming Brooklyn Made or a memorable moment in the shooting process. I’m currently in the post-production phase of a longer form doc I produced on an amazing woman rapper. I find her lyrics and style feministic and even pitched the doc as being about a “femcee.” (that’s female + emcee). After actually interviewing her several times it was obvious that not only did she not necessarily ascribe to feminism. For her it was due to the sometime racist history of the feminist movement and the marginalization of Black women in said movement, and the fact that she really doesn’t enjoy labels necessarily. Also, she actually loathed the term "femcee." All this to say, you have to come into the production process as an empty vessel in order to tell these stories truthfully and not skew them to what you may have wanted them or imagined them to be. The great Lao Tzu once stated "A closed hand cannot receive." The same goes for your mind. As a journalist, it must be open at all times and not cluttered with your preconceived ideas of things. BRIC is the leading presenter of free cultural programming in Brooklyn. We present and incubate new work that reflects the diversity that surrounds us.